What a relief! 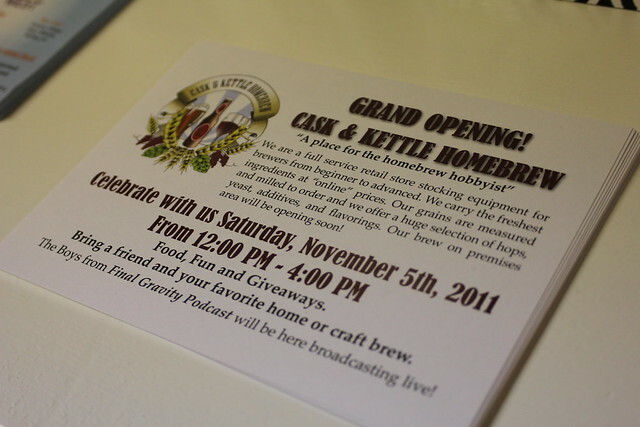 To finally have a home-brew shop within convenient driving distance… this is truly the stuff of fantasy. 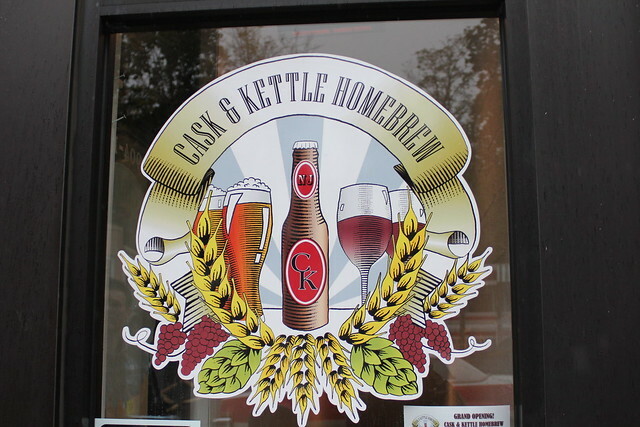 Located on the slopes of nearby Boonton, Cask & Kettle is a haven for homebrewers. Â It is the perfect spot for beginners and veterans alike. 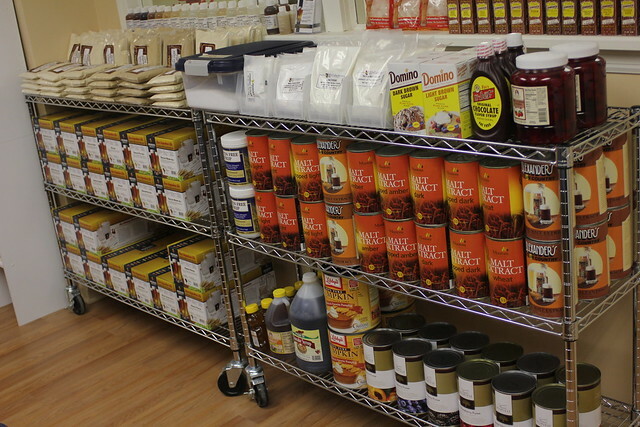 Cask & Kettle stock their shelves full of the highest quality ingredients and equipment; Â superb organization make finding what you need a breeze. Â The store is divided into three sections: a state of the art brewer’s kitchen, an ingredient section, and an equipment area. They are constantly receiving fresh ingredients so make sure you check the board to see what’s available. 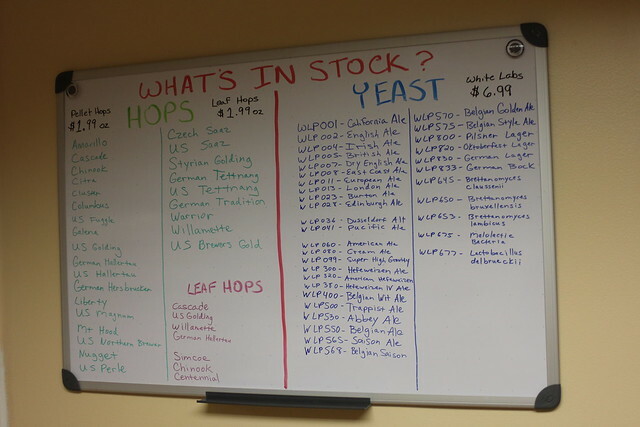 Â There is a variety of whole leaf and pellet hops, as well as, both liquid and dry yeast. Â The board doesn’t tell you what grains are available so make sure you peruse that area thoroughly. 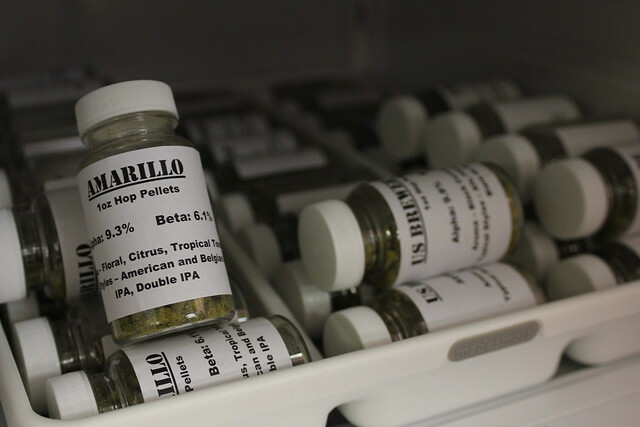 The hops and yeast are kept fresh and cool in the fridge. Â I love the plastic bottles the hops come in – they are all clearly labeled with Alpha and Beta acids along with a good description of the hop characteristics they will impart. A nice change of pace from the typical foil packs or ZipLock bags at most shops. 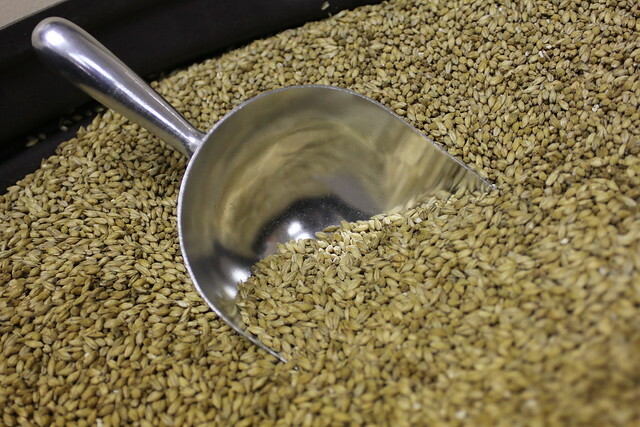 There are a few huge buckets of base grain in the center of the ingredients area surrounded by sugars and adjuncts on one side and flanked by specialty grains on the other. Â All of the grains are clearly labeled with their name, color, and characteristics. 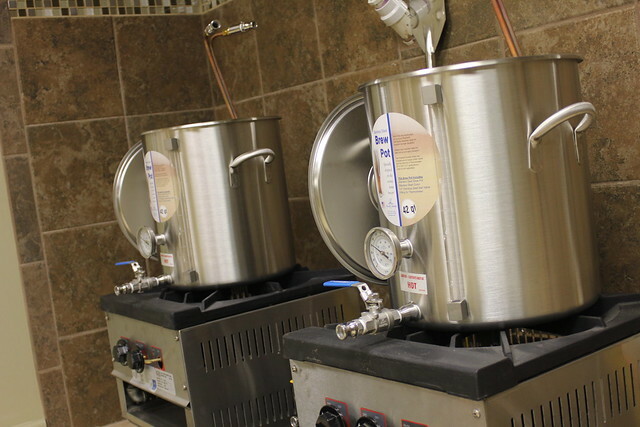 The kitchen is designed with two brew stations set up side by side. Â Along with the two brew kettles, there is plenty of counter-space to lay out ingredients. 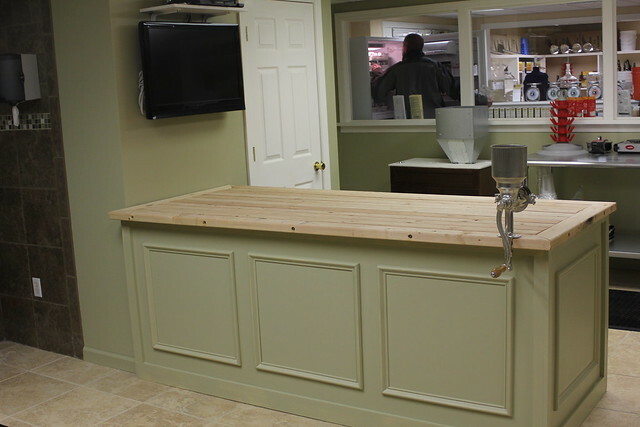 Also featuring a cleaning and sanitation area, a bottling station, and my favorite – theÂ automatic grain mill. Â Just pour your grains in, turn a key, and walk away for a few minutes while the machine does all the hard work. 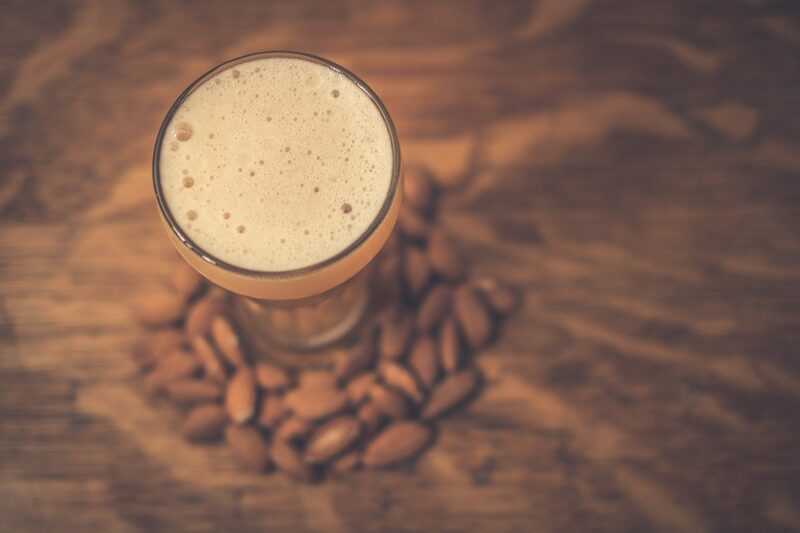 Sitting alongside a variety of sugars, extracts, and adjuncts are a bunch of Brewers Best kits (great for starting out). 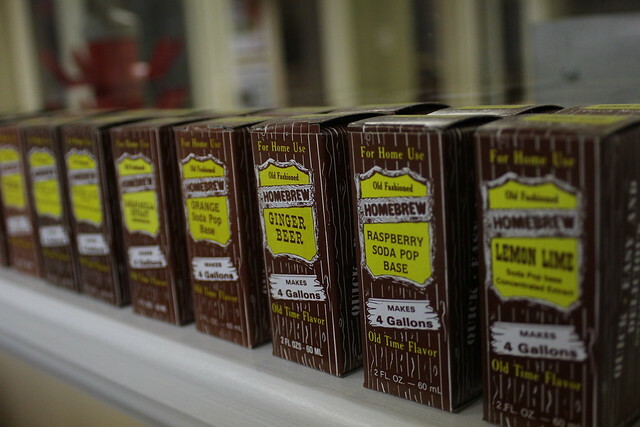 Â Sitting atop a ledge above all of the adjuncts is something I have never seen before – soda pop base syrups. Â They have everything from Lemon Lime to Root Beer. Â I’ll definitely be checking those out at some point. 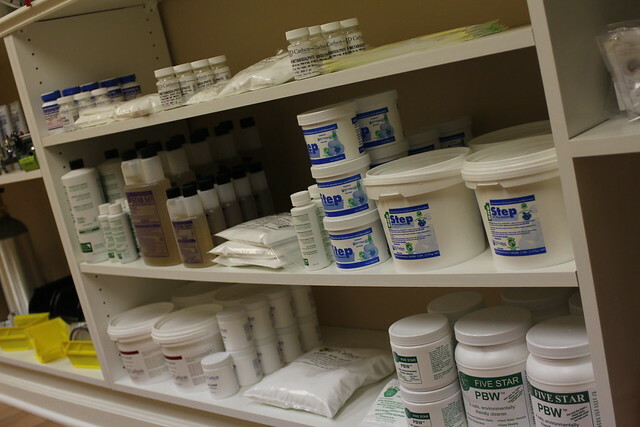 We finally get to the last area of the store – the equipment supply section. 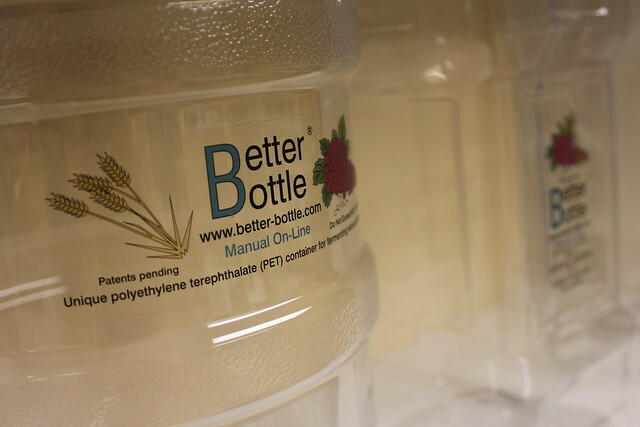 Â It has everything imaginable from Better Bottles to cleaning supplies and even plastic tubing which can be cut to your desired length. Â Along with the supplies there are also a few books on homebrewing and clone recipes. All in all, Cask & Kettle is a top notch homebrew store. Â Come down and check out the Grand opening with us on Saturday, November 5th and don’t forget to check them out on Facebook.